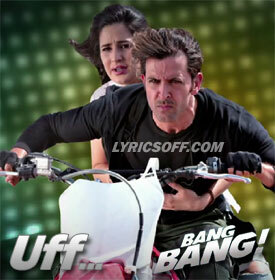 Uff Lyrics of Bang Bang (2014): This is a lovely song from Bang Bang starring Hrithik Roshan and Katrina Kaif. It is sung by Harshdeep Kaur and Benny Dayal and composed by Vishal Shekhar. Uff.. mere dil mein thodi uff.. Mere dil mein uff.. uff..